To raise awareness and to inspire people to take action on behalf of children who may not know where their next meal is coming from, C&S Wholesale Grocers announced its support for an innovative new campaign to highlight the issue of child hunger. The statistics are staggering: 1 in 6 children in the United States face hunger. During the summer months when free or reduced-price meals at school are not an option, four out of five kids lose access to those meals. To raise awareness and to inspire people to take action on behalf of children who may not know where their next meal is coming from, C&S Wholesale Grocers announced its support for an innovative new campaign to highlight the issue of child hunger. Titled “Summer Hunger Explained,” the video was produced by Feeding America®, the country’s largest hunger relief organization. The campaign was developed for social media platforms and will run from June 1 through early August, reaching millions of potential supporters on social media throughout the summer months. Feeding America® is the largest hunger-relief organization in the Unites States. Through a network of 200 food banks and 60,000 food pantries and meal programs, we provide meals to more than 46 million people each year. Feeding America also supports programs that prevent food waste and improve food security among the people we serve; educates the public about the problem of hunger; and advocates for legislation that protects people from going hungry. Visit http://www.feedingamerica.org, find us on Facebook or follow us on Twitter. 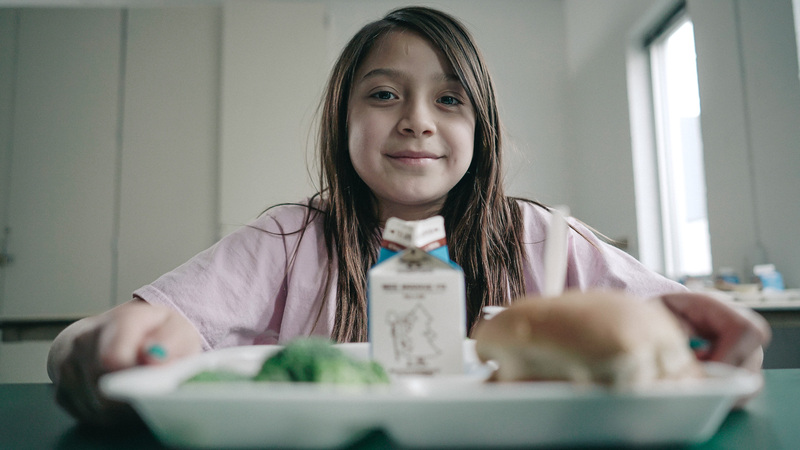 C&S Wholesale Grocers provided funding to Feeding America to develop an innovative public awareness campaign about child hunger in the summer months.